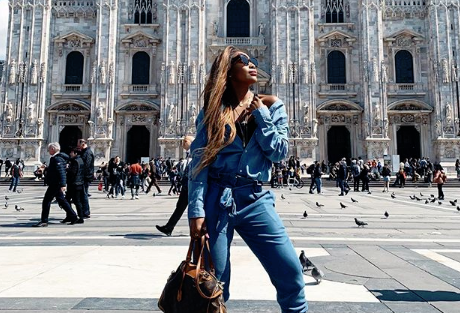 Pearl Modiadie Jetted off to Milan, Italy for the Milano Design Week and she seems to be living the her best life. The Milano design week features the latest trends, events and different exhibitions for the year ahead and Pearl was attending it for the first time this year. The MetroFM presenter has met a world-renowned sculptor and is dining at high end Italian restaurants. ...wherever you go , go with all your heart. I get to travel to other countries and see the most beautiful cities in the world. For that, I am super grateful ?????? Thank you for a memorable experience @rishaadhj + #IQOSSouthAfrica #IQOS My second time in Milan sure felt like a first and #milandesignweek2019 had everything to do with it ???? Ciao Italy ???????? Sawubona Mzansi ??????? ?